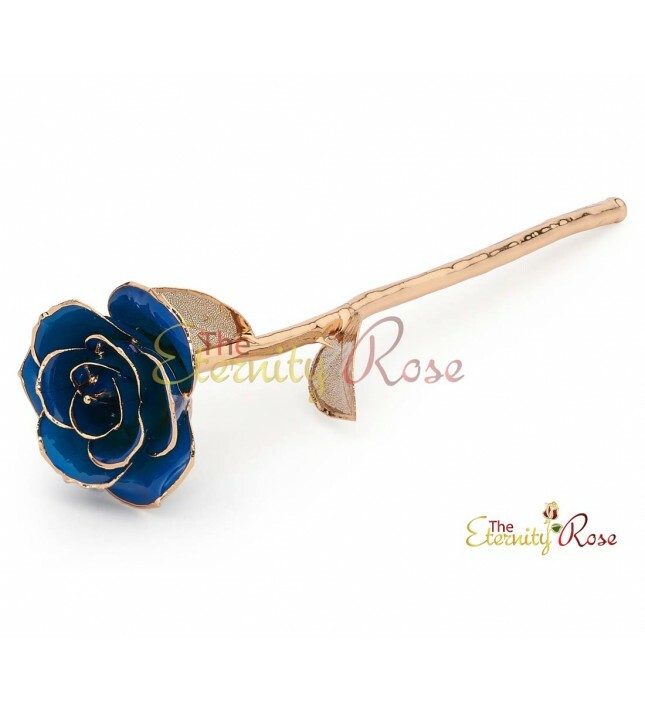 • A real blue rose, picked at its point of beauty. 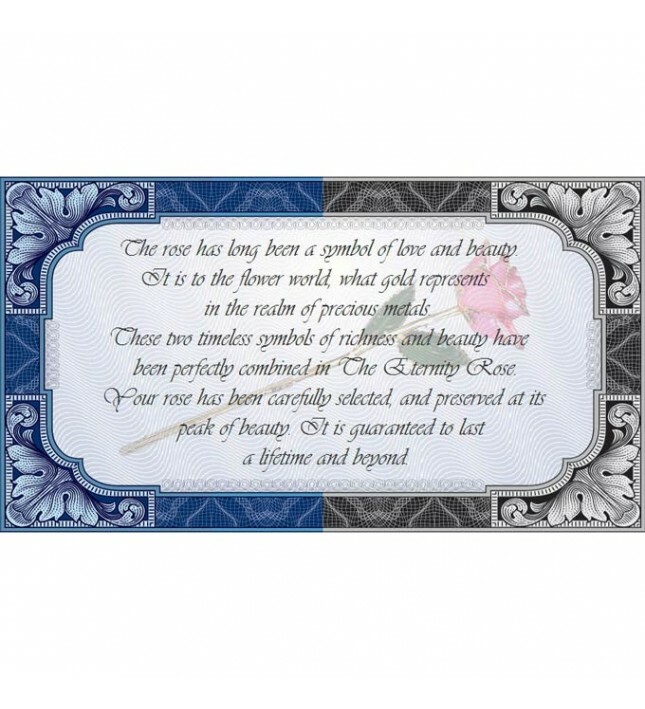 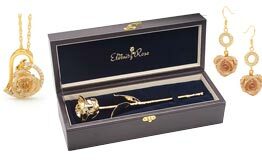 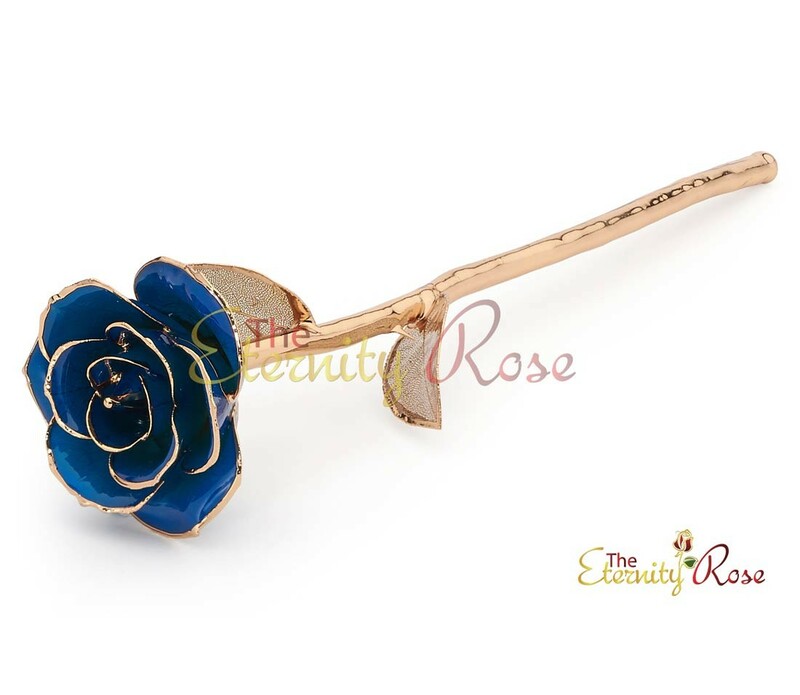 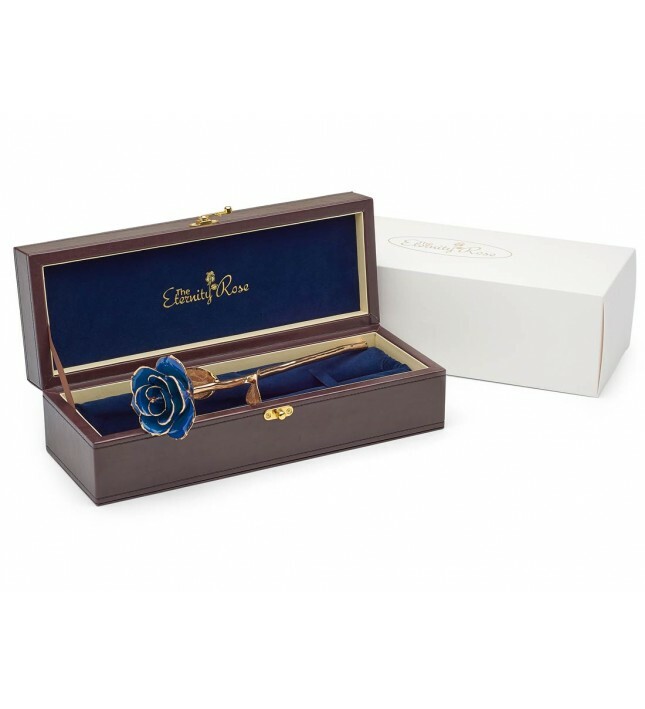 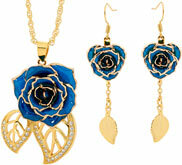 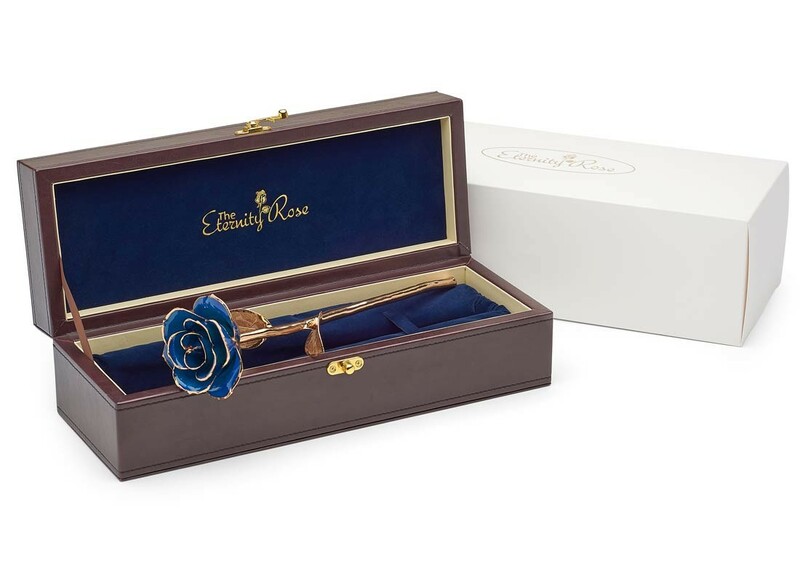 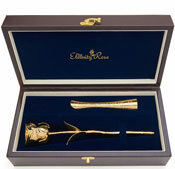 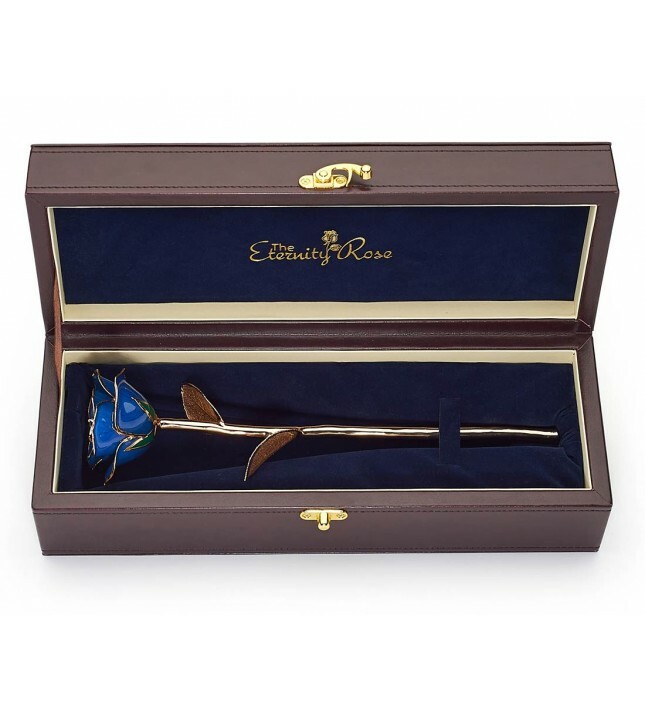 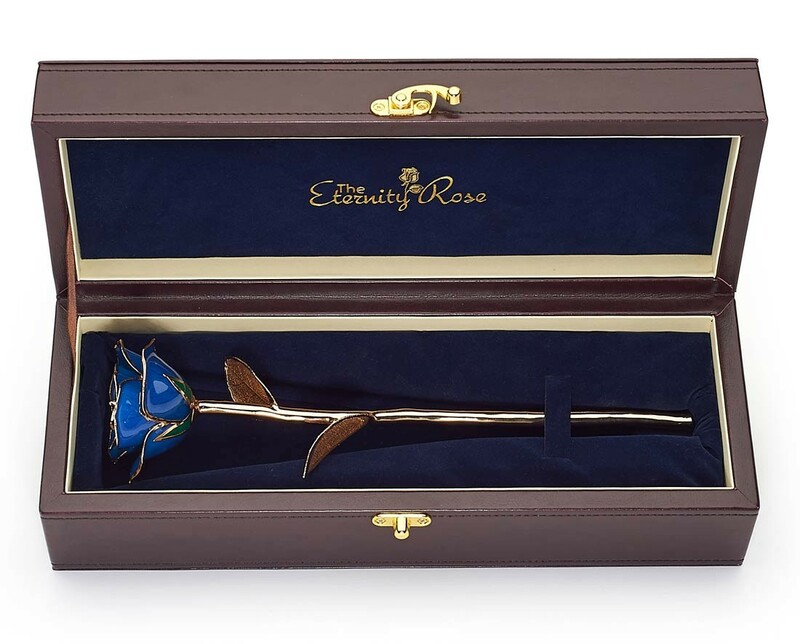 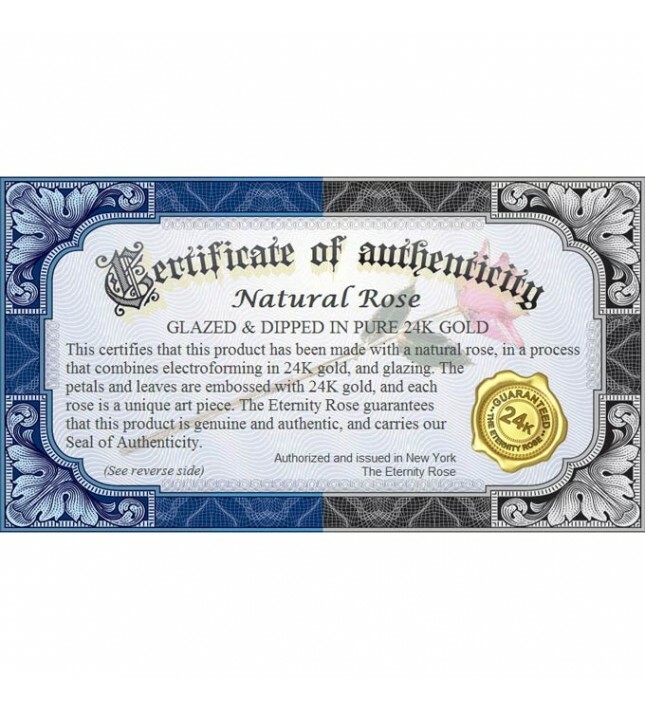 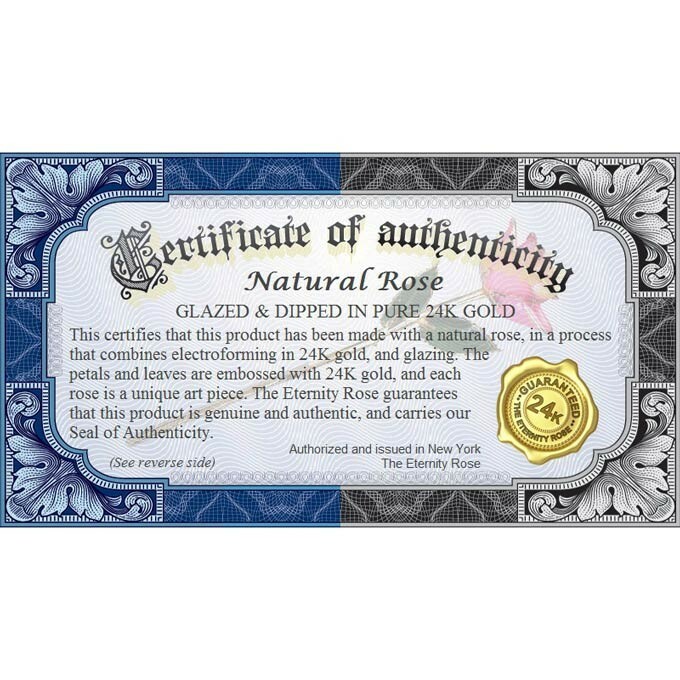 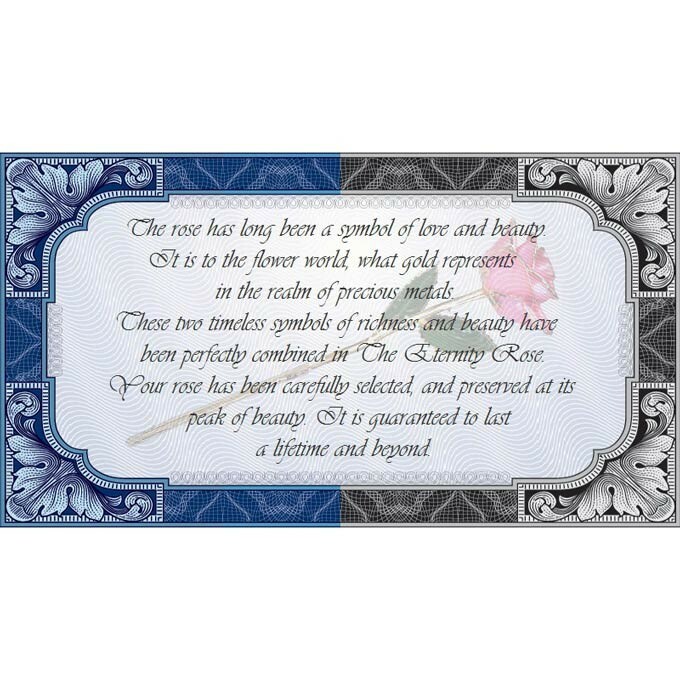 Part of The Eternity Rose range, this beautiful art piece is produced by glazing a genuine blue rose and dipping it in pure 24 karat gold. 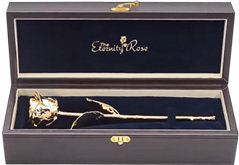 The treatment process dissolves the leaves, leaving the structures visible beneath, and this lattice structure is then coated with 24 karat gold and glazed.